The award winning school districts in Bucks County, PA are dedicated to ensuring that all children receive the respect, encouragement and support they deserve in order to realize their full potential. Enrolling your child in one of the many exceptional Bucks County schools means your child will gain the skills and knowledge they need to be confident, successful contributing members of today's global society. 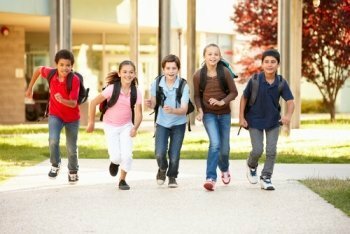 Bucks County Realtor® Russell Volk has put together an education guide with information on school districts and schools in Bucks County. He has also included a list of homes for sale that fall under each school district, so you can be sure you’re looking for homes in your desired area. Take a moment to register for free for exclusive search privileges that include the ability to save searches for later or to customize your search for homes in Bucks County school districts. If you have questions about a specific school district or school in Bucks County, please contact Russell who will be happy to share his knowledge with you to help you make an informed decision.